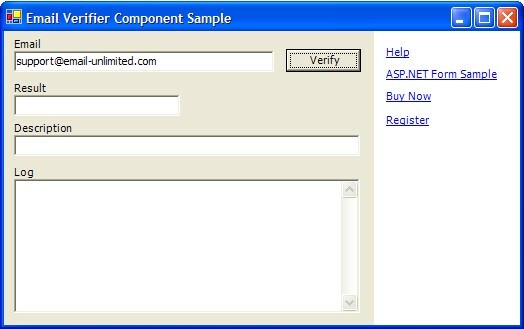 Email Validation Component will check email address to determine if it is valid or not. "The Email Validation Component is a true native, 100% managed C# component that can be implemented for both Webform and Winform." You need to have access to the port 25. If you're working within a restrictive firewall then you need to use socks proxy servers. The processing speed depends on your internet connection.